Marie-Louise von Franz says that "creation myths are of a different class from other myths. . . for when they are told there is always a certain solemnity that gives them a central importance; they convey a mood which implies that what is said will concern the basic things of existence, something more than is contained in other myths." 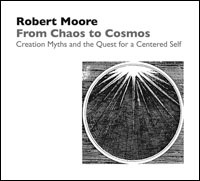 This seminar focuses on the psychological significance of the mythology of creation with emphasis on understanding its relationship to the processes of forming and consolidating a centered and cohesive self.